Non-Silicone Thermal Compound N700A/B is made of non-silicon resin material and none low-molecular-weight siloxane. N700A/B helps avoid electrical contact problems. 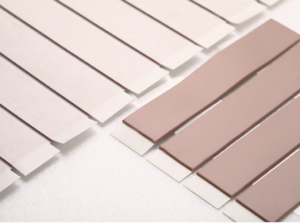 N700 is flexible and has great thermal conduction, making the thermal resistance as low as possible. The thermal conductivity is 1.5~3.0W/m*K. It’s suitable for optical and sensitive electric components. Non-Silicone Thermal Compound G3380N is made of non-silicon resin material. G3380N has low-molecular-weight siloxanes, non-volatile, low thermal resistance, great thermal conductivity, and has been used extensively in Consumer electronics and Microprocessor for their thermal control techniques. The thermal interface grease can cover several coats on the component interface. When the component’s temperature rises, the thermal interface grease stickiness will decrease, which can moisten the interface components.